15 April 2019 – Prepare for the 2nd Month Passover! The 2nd-month Passover is the 14th day of the second Biblical month (Num 9:11). The first day of the Biblical month begins when the new moon is first seen after sunset in Israel. But according to Scripture, two or 3 witnesses are required to ‘see’ the crescent moon in order to establish the important “matter” of the start of the new month (Mt 18:16; 2Co 13:1). This month however, according to several testimonies, there was only one witness of seeing the new moon in Israel. And because a month is either 29 or 30 days in length, the start of the second month occurs by default after the 30th day of the first month, making 8 April 2019 the first day of the 2nd month. Thus the 14th day of the 2nd month begins at sunset Saturday 20 April, and ends at sunset Sunday 21 April. May your confirming of the Master’s Covenant be one of great blessing! 24 March 2019 – Abib Report Update: Second Abib search trip made to Israel — abundant abib barley confirmed for the start of the new Biblical year in the month of March! Amidst much confusion as to when the new Biblical year begins in 2019, one of the barley search teams returned to Israel, to further document the condition of the barley, and to see whether the month of the abib had indeed begun. This second inspection trip was made to further confirm and document for the Brethren, that the barley is indeed abib, able to meet the requirements of (Lev 2:14; 23:10,19) for the “First of the Firstfruits” wave sheaf, which is to be offered on the day of Firstfruits. There have been no moon-sighting reports from Israel this month. As a result, since 8 March is the 30th day of the 12th Biblical month, the day of 9 March becomes, by default, the first day of the new Biblical month, beginning sunset 8 March and ending sunset 9 March. Since abundant abib barley has already been confirmed by faithful witnesses in Israel, we can confirm that the new month is not the 13th month of the year, but the first month of the new Biblical year. Question: why are some celebrating the Feasts a month later? Eliyah has a good summary here: WHY ARE SOME CELEBRATING THE FEASTS A MONTH LATER? Once the new Biblical year begins, the dates of all the commanded appointments with Messiah become keyed to the start date of the new year. So we see that determining the start date of the new Biblical year is an important matter. The new Biblical year begins in the spring time, when the abib occurs in Israel (Exodus 9:31, 12:2), and at the moment the first crescent moon is seen in Israel. The abib occurs when a suitable amount of barley becomes ripe enough to meet the Torah requirement for presenting the Firstfruits wave sheaf offering (Exodus 23.10-11; Exodus 22:9, 23:19; Lev 2:14). Each year there are teams that search out the land of Israel, to determine the state of the barley, and to determine whether the abib has occurred. Once the time of the abib has occurred, the new year begins at the first sighting the next crescent moon after sunset in Israel, as confirmed by two or three witnesses. The 2019 abib searches in Israel have just been completed as of 7 March, by at least two separate teams. One team, having seen fields of suitable barley, has shown photographs and other evidence, that the abib has indeed occurred in Israel. See here. Another team has not yet found any suitable barley in the abib stage, and has simply stated that they found no abib barley. As a consequence of the different results of the two different abib search teams, some folks will begin the new Biblical year in March, and some the following month, in April. Those beginning in March will have a correct month-count for all the commanded meetings with Messiah. Those beginning in April will observe a Passover on perhaps the correct night, but it will not be the first-month Passover, but the acceptable 2nd-month Passover. For these, however, the commanded assemblies for the remainder of the year will be off by a full month. We now await the sighting of the crescent moon in Israel. 10 September 2018 – The Fall Feasts will begin the night of 11 September! The moon was not sighted in Israel after sunset on 10 September, so the first day of the 7th month [Yom Teruah—the Feast of Trumpets] will begin on 11 September at sunset, and will end at sunset 12 September. This New Moon report comes from Brian Convery. Shemini Atseret [Eighth Day Assembly] will be 3 October, from sunset 2 October to sunset 3 October. 19 April 2018 – The 2nd-Month Passover is Drawing Near! For those who missed the first-month Passover the night of 31 March 2018, YHWH gives us a ‘second chance’ to participate in Messiah’s New Covenant Passover Memorial Feast in the second Biblical month. Also known as the “Feast of the Firstborn,” the Passover Memorial celebration is held each year for His Betrothed, those who will be in the First-fruits Resurrection. The new moon of the 2nd Biblical month has been sighted the night of 17 April, according to witnesses in Israel. This confirms 18 April as the first day of the 2nd month, and 01 May as the 14th day of the second month, the 2nd Passover. The day portion of the Second-month Passover is 01 May, but the Passover meal is eaten in the night portion the evening before, on 30 April after sunset, as we see in Messiah’s example (See Schedule below). The 2nd-month Passover is to be done within the same timing as the first-month Passover, according to Numbers 9:10-12. Notice that Messiah ate the bread, and drank the cup of the New Covenant, after sunset in the night portion of the 14th day, “in the same night in which Messiah was betrayed,” according to the apostle Paul’s reminder for us in 1Co 11:23,25. Our goal is not to follow someone’s doctrine or tradition, but to follow the person of Messiah — by following all of Messiah’s words and examples, within the context of all Scripture. Thanks to Yahuweh for His loving kindness, in urging us and enabling us to participate in His all-important Passover Memorial Meal! 19 April 2018 – The Countdown to Shavuot (Pentecost) is underway! The Biblical Day of early Firstfruits — the day of Messiah’s resurrection — marks the start of the countdown to Pentecost. The day of Firstfruits is the annual, Biblical Memorial of the ‘firstfruit’ of the Barley harvest (Lev 23:10). A sheaf (‘omer’) of the Firstfruit of the Barley harvest is to be cut and waved before Yahuweh after Passover, on the first day of the week. This ‘wave-sheaf day’ is prophetic of Messiah’s resurrection, for it is Messiah Himself who is the ‘Firstfruit’ of Yahuweh’s harvest of souls — the firstfruit of those who will be resurrected at His return, just as the apostle Paul reminds us in 1Co 15:20-23. Also on this day, according to Lev 23:15-17, the “counting of the omer” [the countdown to the Feast of Shavuot (Pentecost)] begins. Pentecost is also called the day of Latter Firstfruits, and speaks of the harvest [‘resurrection’] of Believers represented by the wheat harvest, as the apostle Paul reminds us in 1Co 15:23, and as the apostle James reminds us in James 1:18. A Biblical day always begins at sunset the previous night, with the night portion occurring before the day portion of a given day. 31 March 2018 – Start of the New Year: According to the Abib, or According to the Equinox? Some claim that if the Biblical new year were to start before the sun has reached the point of equinox, then the fall harvest Feast of Sukkot would be too late. What do the Scriptures say about when the Biblical new year is to start? For years we have been looking into the two “camps” of when the Biblical month is to begin — either according to the equinox, or according to when the abib occurs. Here is what we have found, when we consider both the spring (barley) harvest and the summer/fall (wheat) harvest. First, there is no Torah requirement for the timing of the fall (wheat) harvest, but there IS a Torah requirement for the timing of the spring (barley) harvest. The Torah requirement (Lev 23:10-11) is that the priest must wave the Firstfruits wave sheaf of barley before Yahuwah, BEFORE the harvest is allowed to proceed on the Day of Firstfruits, which we are told is the same day the 7-week count to Shavuot begins (Lev 23:15-16; Deut 16:9). This requirement sets the timing for the Firstfruits, and the timing for the first month (‘Abib’), so that all the later moedim are allowed to ‘float’ wherever they may. Barley has a very short time span in which it can be harvested, perhaps 3-weeks. If left another month beyond when it becomes abib, the barley will fall to the ground, and the harvest will be lost. So the Torah requirement for having a Firstfruits wave sheaf suitable for offering to Yahuwah before the harvest begins, becomes the central issue in setting the start of the Biblical year. The resurrection of Yahushua occurred on the Day of Firstfruits [Yom ha Bikkurim], and by this the apostle Paul tells us that Messiah became the Firstfruits (1Co 15:20). Prophetically speaking, this timing shows us that our entire life [as seen in the progression of the moedim (annual Feast days)] is tied to Messiah’s resurrection as the necessary starting point. The Passover and the Day of Firstfruits almost always occur after the date of the equinox, but the start of the first month need not always occur after the equinox date. This is an important thing for us to remember, as we sort out which ministries are following which calendar. The abib searches in Israel were made in mid-March, and the abib was found to have occurred, so that a suitable firstfruits offering could be made in early April. The moon was sighted in Israel on 18 March 2018, so that 19 March could mark the first day of the new year. If we were to wait a full month later, we would violate a different Torah command: “Do not delay to offer your First Fruits” (Ex 22:29). Keep in mind that we do not literally wave the First Fruits wave sheaf offering, as this represents the Resurrection of Messiah, but we do use these Torah requirements to find the timing of when to begin the new year. We know many Believers who are following various ministries which direct them to follow the equinox, which yields a Passover date in early May. Unfortunately, that would be too late for any remaining barley in the fields to offer a suitable Torah-required, Firstfruits offering on May 6th, as the barley will have all dropped in the fields by then — and we would not even have a Firstfruit to offer. Such is the result in some years, if we were to follow the equinox. 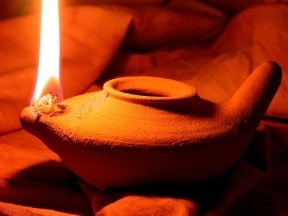 Regarding the calendar issues of Passover, Unleavened, and the counting of the omer to Shavuot [Pentecost], many ministries today continue to follow either Jewish tradition or denominational tradition, rather than Scripture. The apostle Paul reminds us of the timing in which Messiah ate the “bread and the cup” of the Passover meal, and we who follow in Messiah’s footsteps should do as Messiah did (1Co 11:23-25). We will be eating the Passover Memorial Supper the night of 31 March, after sunset, which marks the start of the 14th Biblical day (Passover). The 15th day (Unleavened day1) begins Sunday night 1 April. For those who miss the Passover date of 31 March, there is a “second chance” this year to eat the Passover Memorial meal — the Second-Month Passover (Numbers 9:10-11; 2Chronicles 30:12-13,21) [see 2018 dates in table below]. The barley in Israel has been found to be adequate to declare the month of abib. Also the new moon has been sighted in Israel by two or more witnesses on 18 March 2018, declaring the start of the first month of the new Biblical year. The Spring Feasts are now confirmed to be according to the dates shown on the left side of the table below. We will post an updated schedule soon, along with a brief discussion of why some see the new month as the 13th month of the previous year, rather than the 1st month of the new year (Judges 7:2-8; Proverbs 18:1). Blessings and Shalom to all for a Blessed New Year! The following is a Planning Calendar for the 2018 Spring Feasts. These are ‘potential’ dates, based on the timing of when the abib occurs in 2018. Note that the potential dates shown below are for planning purposes only, and may not be the final dates. These dates will be further confirmed or modified at the first sighting of the new moon in Israel, some time around 19 March 2018 (if the abib occurs by that time), or around 18 April 2018 at the latest. Check for further updates. The Feast Schedule will be updated whenever we receive new information. For those who would like to follow the abib search reports and photos, see Brian Convery reports. For new moon sighted earlier or later than estimated date, adjust schedule accordingly. Days listed above in bold are “High” Sabbath days, days in which Messiah tells us we are to gather together, but we are not to perform our usual work on these days (Lev 23:24-36). Days not in bold are usual work days. Not likely to be this late, but possible. The Passover Memorial Meal is to be held at the same time Messiah held the Passover Meal with His disciples “before He suffered” (Luke 22:15). Those who follow Messiah will choose to eat the bread, and drink the cup, when Messiah did, just as the apostle Paul tells us — in “the same night in which He was betrayed” (1Corinthians 11:23b, 25a). Although this timing is contrary to Rabbinic tradition, this is the timing that the apostle Paul confirmed to us as a second witness, to be passed down from Messiah to us (1Corinthians 11:23). It is important to note that those who follow the traditional timing for the Memorial Meal, [after sunset at the close of the 14th day, which is the start of the 15th day], are not observing the Biblical Passover! The Biblical timing for the Passover Memorial Meal, as the apostle Paul reminds us, is to be done on the night of the 14th, at the time Messiah ate it with His Disciples [see note 5a,b]. The observance done on the night of the 15th is, according to Scripture, the observance of the Feast of Unleavened — “which [by tradition] is called Passover” (Luke 22:1). For Biblical Passover timing confirmation in Scripture, see When Do We Eat the Passover Supper, According to Scripture?. 7th Month Report! New Moon Sighted in Israel! Happy Yom Teruah! The New Moon has been sighted by many witnesses this evening in Israel! The reports are still coming in as I write this!!! The New Moon of the Seventh Month was sighted on Thursday, September 21st 2017. This means that Yom Teruah/Feast of Trumpets is starting at sunset on Thursday September 21st and goes through Friday, September 22nd 2017. Yom Teruah Sameach!!! Happy Feast of Trumpets Y’all! You can see the new moon very faintly about an inch above the electrical lines in the image below! Date Sighted: Thursday, September 21st 2017. Time Sighted: 7.22pm Jerusalem, Israel time. Sighted By: David, Emily, Briana, Victor, Isabel, Rebeka, Moshe, Natanyah & Giliyah Varela, Lea, Eli and Michael Fitchlee, Devorah Gordon and many other observers in Israel! Month: This is the 7th Biblical Hebrew Month, also known as (Tishri)! For those of you who were asking about the rest of the feast dates for this season, I have listed them below! Sound the Trumpets and make ready for the day of Trumpets is at hand! May you all have a very blessed Holy Day and a very joyous extended Feast Season! 25 April 2017 – It is time to plan for the Fall Feasts of Messiah. As we count down the 50 days [7 weeks and a day] to Shavuot [Pentecost] (see 17 April Update below), this is a good time to plan for the Fall Feasts. As we recall, the Feasts of Yahuweh are as ‘betrothal encounters‘ with the Bridegroom-Messiah, and are as rehearsals for the wedding-feast. The dates for the 2017 Fall Feasts shown are tentative (See Schedule below), and will be confirmed at the sighting of the new moon of the 7th month in Israel, around the third week of September 2017. To be confirmed. For new moon sighted earlier or later than estimated date, adjust schedule accordingly. A Biblical day begins at sunset the previous night, and ends at sunset on the listed day. Days listed above in bold are “High” Sabbath days, days in which Messiah tells us we are to gather together, but we are not to perform our usual work on these days (Lev 23:24-36). Days not in bold are usual work days. 17 April 2017 – The 2nd-Month Passover is Drawing Near! 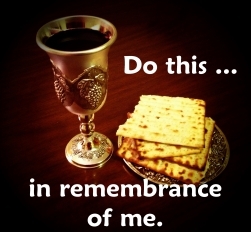 For those of us who missed the first-month Passover the night of 11 April, YHWH gives us a ‘second chance’ to participate in Messiah’s New Covenant Passover Memorial Feast. Note that the night of 10 May for the Passover Memorial meal is now a confirmed date, the new moon of the 2nd month having been sighted in Israel the night of 27 April. Note also, that the 2nd-month Passover is to be done within the same timing as the first-month Passover, according to Numbers 9:10-12. For those who follow Messiah’s example, Messiah ate the bread, and drank the cup of the New Covenant, at night at the beginning of the day of Passover, the same night in which Messiah was betrayed, according to the apostle Paul’s reminder for us in 1Co 11:23. 16 April 2017 – The Biblical Day of early Firstfruits — the day of Messiah’s resurrection — has arrived! This is the annual, Biblical Memorial of the ‘firstfruit’ of the Barley harvest (Lev 23:10). Also on this day, according to Lev 23:15-17, the “counting the omer,” the countdown to the Feast of Shavuot (Pentecost) begins. Pentecost is also called the day of Latter Firstfruits, and speaks of the harvest (‘resurrection’) of Believers represented by the wheat harvest, as the apostle Paul reminds us in 1Co 15:23, and as the apostle James reminds us in James 1:18. 29 March 2017 – Happy New Year! The New Moon has been sighted in Israel! The Passover and Spring Feast dates have been confirmed, and the Schedule will be as indicated below, for the 29 March sighting. It appears that the Biblical month of the Abib will begin at the end of March, confirming the April potential dates on the Planning Calendar (see below). Again, these are potential dates, dependent on when the new moon is sighted in Israel, in accordance with Torah requirements (Deut 19:15; Matt 18:16). The following is a Planning Calendar for the 2017 Spring Feasts. These are ‘potential’ dates, based on the timing of when the abib occurs in 2017, either in February or in March. Note that the potential dates shown below are for planning purposes only, and may not be the final dates. These dates will be further confirmed or modified at the first sighting of the new moon in Israel, some time around 1 March (if the abib occurs by that time), or around 31 March at the latest. Check for further updates. For new moon sighted earlier or later than estimated date, adjust schedule accordingly. Not likely to be this early, but possible. Probable and most likely date. The Passover Memorial Meal is to be held at the same time Messiah held the Passover Meal with His disciples “before He suffered” (Luke 22:15). Those who follow Messiah will choose to eat the bread, and drink the cup, when Messiah did, just as the apostle Paul tells us — in “the same night in which He was betrayed” (1Corinthians 11:23-25). Although this timing is contrary to Rabbinic tradition, this is the timing that the apostle Paul confirmed to us as a second witness, to be passed down from Messiah to us (1Corinthians 11:23a). 2 September 2016 – Sound the Shofar — the 7th Biblical Month Has Begun! The new Moon of the 7th month has been sighted in Israel, by the required two witnesses! This is the day of which it is said, “No man knows the day or the hour” of its arrival. Therefore we must “Watch” for that day. On Friday September 2, 2016, the new moon was sighted from Jerusalem at 7:30pm by Becca Biderman and shortly thereafter by Cassandra Conroy. The photo at the top of this message was taken of this month’s new moon by Becca Biderman. The 2016 Fall Feast dates are now confirmed. Actual dates are shown in the “2016 Feast Days Schedule Overview” (see below), and details are shown in Table 2, “Fall Feasts 2016 Confirmed Dates” (see below). 13 August 2016 – Get Ready for the Fall Feast Days! Potential Feast dates can be seen in Fall Feast Schedules below. Actual dates to be confirmed by 4 September 2016. (See 2016 Spring and Fall Feast Schedules below). The abib occurred in Israel in early March, as reported previously. The new moon of the second month was not seen in Israel the night of 8 April as expected, due to overcast and haze, but was seen the next evening of 9 April after sunset. This sighting declared 10 April to be Day 1 of the 2nd Biblical month. For those who missed the first-month Passover, the Biblical 2nd-month Passover (Numbers 9:10-11) will occur on the 14th day of the 2nd Biblical month, which is the night of Friday, 22 April after sunset, as discussed below. If you missed the first-month Passover and Feast of Unleavened this season, do whatever it takes to keep the second-month Passover. See John 6:53-54 for a glimpse of the great importance of participation in this vital New Covenant event! If you are a Believer, Messiah is calling you to abandon the tradition of taking the ‘counterfeit’ Passover supper (aka ‘communion’ and ‘Lord’s Supper’) promoted by Rome for centuries (Lev 23:4-5; Psalms 50:16; Rev 2:14,20). Instead, Messiah is calling you to take the ‘true’ Passover Supper, in the same manner and timing as the Master and His Disciples (Mat 26:26-28; Mk 14:22-24; Lk 22:15-20; John 6:53-56; 1Co 11:23-31; Lev 23:5-6). Let us renounce the counterfeit Passover elements we have all practiced for years. We renounce the false, simply by keeping the true Last Supper — eating the Passover Memorial meal, just as Yahushua and His Disciples did! As to the proper timing of this Memorial Meal, Messiah Himself, as well as the apostle Paul, both confirm for us when we are to eat it. As Messiah’s Disciples, we follow Messiah’s example in all things — and Messiah tells us we are to eat the Passover meal in the same night “before” (not after) He is to suffer (Luke 22:15). Paul confirms this for us, passing along to us what he received from Messiah to tell us — that we are to eat this meal “the same night in which he (Messiah) was betrayed” (1Corinthians 11:23). And so it is today, that the Master’s Disciples choose to do as the Master did. In the first or 2nd Biblical month, at the start of the Biblical 14th day (at night, after sunset), we sit down to a special meal, alone or with others, as a memorial of our redemption by the Blood of the Lamb. After the meal, we take the unleavened Bread, and the wine or grape juice, in memorial recognition of the Body and Blood of Yahushua (Luke 22:19-20). Those who missed the first-month Passover may celebrate the 2nd-month Passover Memorial Feast, and the corresponding 2nd-month, 7-day Feast of Unleavened, just as was done in Jerusalem according to the command of King Hezekiah, as directed by Messiah (2Chronicles 30:12-13, 21). The Spring Feast 2016 Schedule can be seen in Table 1 below. The new moon marking the first month in which the abib occurs, was seen in Israel the night of March 10, declaring 11 March the first day of the Biblical new year. This new moon sighting established the start of the first Biblical month, as well as the starting point for the remainder of Yahuweh’s feasts for 2016. The new moon of the second Biblical month was seen in Israel the night of April 9, establishing the date of the 2nd-month Passover. Below is an overview of the 2016 Biblical Feast Days Schedule, with further details in tables below. The dates for the Spring Feasts are now confirmed, and are seen in Table 1 below. Update 02 September 2016: the dates shown below are now confirmed, and are seen below in Table 2. These are now confirmed dates, as the new moon of the 7th month has been sighted in Israel. The dates below are the final dates to be used. 1. For new moon sighted earlier or later than estimated date, adjust schedule accordingly. 2. A Biblical day always begins at sunset the previous night, with the night portion occurring before the day portion of a given day. 3. The Passover Memorial Meal is to be held at the same time Messiah held the Passover Meal with His disciples “before He suffered” (Luke 22:15). Those who follow Messiah will choose to eat the bread, and drink the cup, just as Messiah did — in “the same night in which He was betrayed” (1Corinthians 11:23-25). Although this timing is contrary to Rabbinic tradition, this is the timing that the apostle Paul confirmed to us as a second witness, to be passed down to us (1Corinthians 11:23a). It is important to note that those following the traditional timing do not observe the Biblical Passover on the night of the 14th [see note 2], but instead observe only the Feast of Unleavened on the night of the 15th, “which [by tradition] is called Passover” (Luke 22:1). For Biblical Passover timing confirmation in Scripture, see When Do We Eat the Passover Supper, According to Scripture? and the series of articles on The Passover: Which Day — Truth or Tradition located in The New Covenant Passover: A Mystery. The abib has occurred in Israel, based on the evidence provided by the required 2 or 3 witnesses. The new moon has also been seen in Israel on the night of 10 March by the required 2 or 3 witnesses, making Friday 11 March the first day of the Biblical new year. The First-month Passover and Feast dates are now confirmed, and will be according to Case 1 in the tables below. The Second-month Passover will occur in late April, for those who miss the First-month Passover in March, and will be according to Case 1 under “Details” in the tables below. For all Born-Again Believers in Messiah, the New Covenant Passover in 2016 will be in March this year, according to the Biblical reckoning of the Biblical month. The following table is an overview of the Passover potential dates. Details are seen below the table, in Case 1 and Case 2, depending on when the abib occurs in 2016, in either March or April. The potential dates shown below are for planning purposes only, and may not be the final dates. The dates shown below will be further confirmed or modified at the first sighting of the moon in Israel, some time around 11 March if the abib occurs by that time, or around 09 April at the latest. Check for further updates. The date of the New Covenant Passover is dependent on when the abib occurs, and also upon when the moon is first sighted, signifying the start of the first month of the Biblical year. We rely on faithful witnesses to provide eyewitness accounts for the abib reports, and for sighting of the moon in Israel. The Solomon Meyer report, with photos and descriptions found here. Since we do not yet know when the abib is likely to occur this year, we are showing the spring feast potential dates for 2016 as two separate cases — Case 1 based on an early abib, and Case 2 based on a later abib. Any further adjustments for either case may be made as needed, based on the date the moon is first sighted in Israel. Note that these potential dates shown below are for planning purposes only, and may not be the final dates.